If you encounter any problems, please visit my forums (GothmogtheOrc) and let me know. This is a great map. The only problem I have is that you can't bring Mumakils and siege towers out of the caste because they can not fit through the gate. It's still balanced though, because now Mordor is walled in, an the castle is only accessible from one side. Great map. I think it's great, but annoying that the Gargoyles have no sort of "rebuild" function. It got tiring rushing out with my army to defend them all the time. What's the point of finally giving the evil guys a gate and walls if it always has to be open? Otherwise, great map! but regular mod rules are, you can play online as long as you don't change certain things. 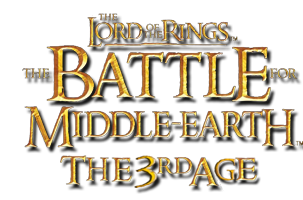 by compatible with online multiplay, i suppose you mean you can have this mod and still play online with regular gamers (that is of course, as long as you don't play the morgul map)?